The Ottawa Senators will host the Montreal Canadiens in the Scotiabank 100 NHL Classic outdoor hockey game at TD Place on December 16. 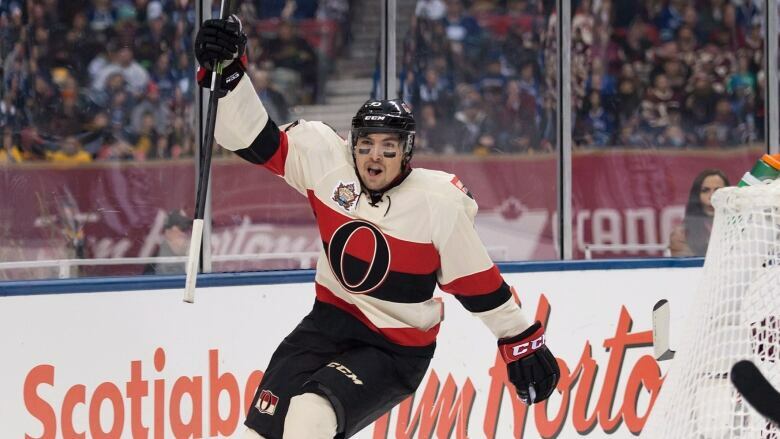 The Ottawa Senators will host the Montreal Canadiens in an outdoor NHL game at TD Place on December 16. NHL commissioner Gary Bettman made the official announcement at a news conference Friday morning at the Château Laurier in Ottawa. It will be the league's 23rd outdoor game, and will coincide with both Canada's 150th birthday and the 100th anniversary of the NHL. "Every one of [the outdoor games] has created a wealth of memories for our teams, their players, their families, and our fans," Bettman said. "We expect more of the same at Lansdowne Park, and we look forward to seeing you there." Dubbed the Scotiabank NHL 100 Classic, the outdoor game at TD Place will bring together two of the league's original teams, who squared off in Ottawa for the first time as NHL teams on Dec. 19, 1917. "As the NHL celebrates 100 years, I can think of no better place to cap off the centennial celebrations than right here in Ottawa with an outdoor game," said Senators owner Eugene Melnyk. "It will be an honour to try to recreate that very first game." "For us, it's a great honour to be invited to play in another outdoor game," said Montreal Canadiens owner Geoff Molson. "Thank you for choosing us to play against the Ottawa Senators." The prospect of an outdoor event to mark the 100th anniversary of the NHL's first game between Ottawa and Montreal has been a hot topic in the capital for some time. 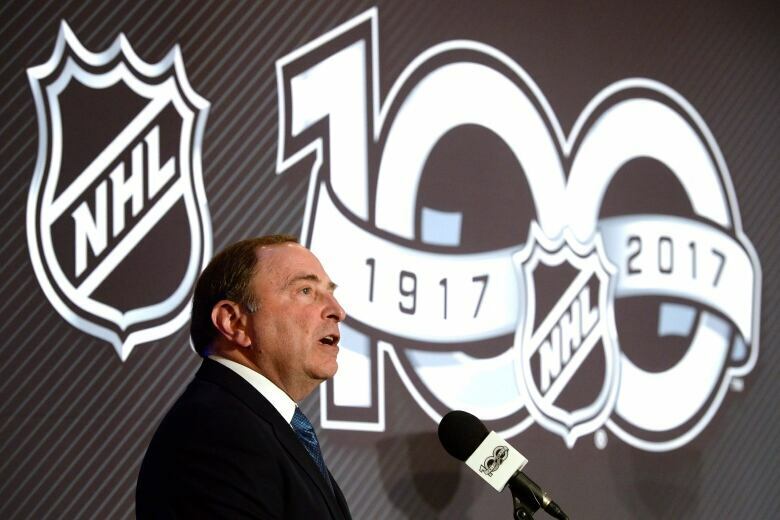 NHL commissioner Gary Bettman announced Friday that Ottawa will host the Scotiabank NHL 100 Classic outdoor game between the Senators and the Montreal Canadiens at TD Place on Dec. 16. (Adrian Wyld/Canadian Press)The Ottawa Senators originally wanted to play the game in front of Parliament Hill, but the department of Canadian Heritage nixed the idea over logistical problems. Since then the negotiations have focused on Lansdowne Park. 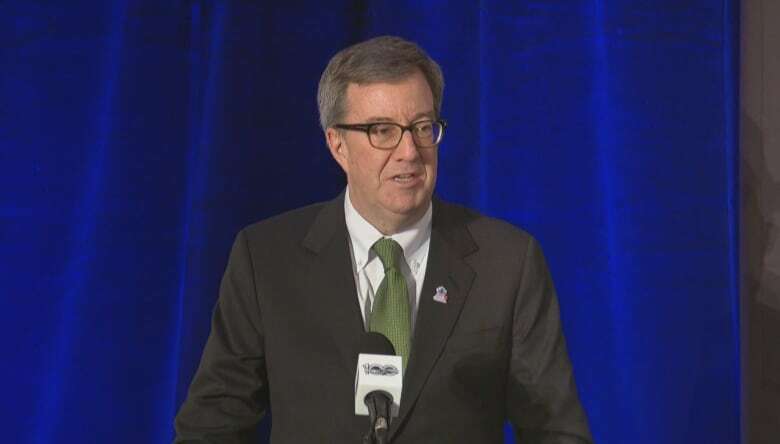 "It took a lot of effort to get this announcement, a lot of long hours," said Ottawa Mayor Jim Watson. "At some point I think I could be accused of harassment — borderline harassment — for the calls that went back and forth between my office and the NHL and the Senators. But it all came together." Watson says the outdoor game will be a cornerstone of the city's extensive celebrations and public events to mark Canada 150. Senators captain Erik Karlsson, who was on hand at Friday's announcement, said he's eager to play in the Scotiabank NHL 100 Classic. "In the middle of the season sometimes you forget about how much fun it is to play hockey, and I think that this type of event really pulls it all together," he said. The rivalry between the Senators and the Canadiens makes it that much more exciting, added Karlsson. "I think it's gonna be great. I think that we're a smaller community, but we have a lot of passion, and I think that by playing Montreal, I think it's going to be even better. Being on the border of Quebec, we have a lot of Montreal fans, even in this city." A single point separates the two teams at the top of the league's Atlantic Division, and they're scheduled to square off three times over the next week as the regular season winds down.